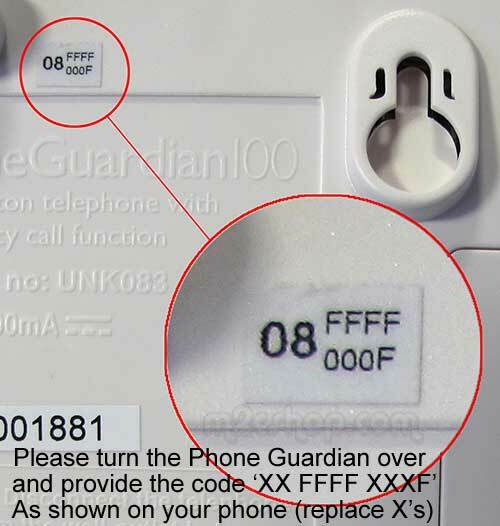 The Phone Guardian 100 Additional Pendant is to be used in conjunction with your existing Phone Guardian 100. It provides a secondary source of security and peace of mind for the user. Ideal for couples wishing to have their own individual pendant or having an additional source of raising the alarm in a different location. The Phone Guardian 100 Additional Pendant has an approximate indoor range of 30m and 50m outdoors. Note: The Phone Guardian 100 Additional Pendant ideally needs to be ordered at the same time as the phone. The pendant frequency has to be programmed by our engineers to work with the phone being ordered. If you are not ordering the additional pendant at the same time as the phone, we require the frequency number of your specific phone to program the pendant. This frequency number can be found on the reverse of the phone. Click here for a picture. Please enter the frequency number on the back of your phone under customer notes when placing the order.